« Do You Ever Feel Like You’re Being Followed? After we left our last host we went to the house of a lady who agreed to host us for the night in Matamata. 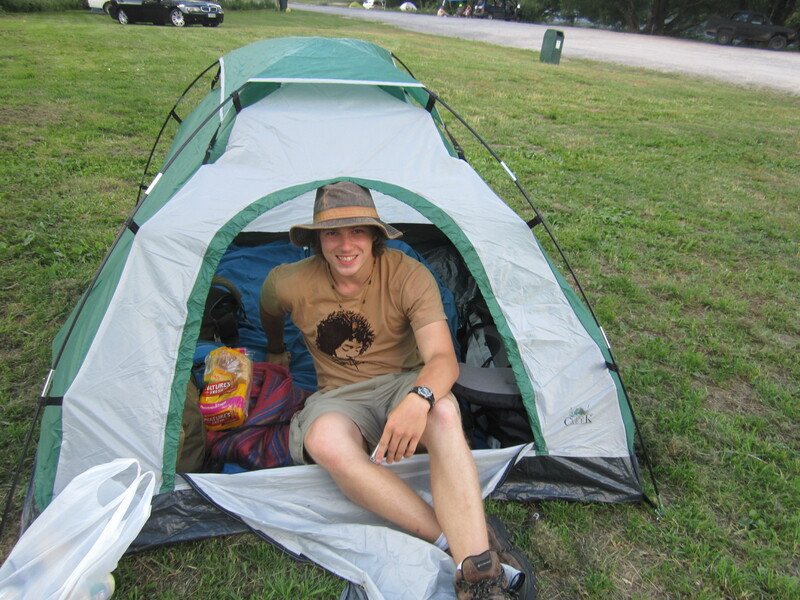 There is a website called couchsurfing.com where people with a spare room or couch let travelers stay at there house. This is what we did to find the lady in Matamata. When we got to her house we knocked on the door, waited five minutes, then knocked again. After that we waited a couple more minutes and called her. No answer. We decided to walk the mile into town with all of our bags to eat lunch and wait to see if she ever called us back. She never did. That left us with two options. We could either walk a couple more miles with all of our stuff or blow some extra money to stay at the local motel. I told Liza that as her Christmas present I’d pay for us to stay in this motel. 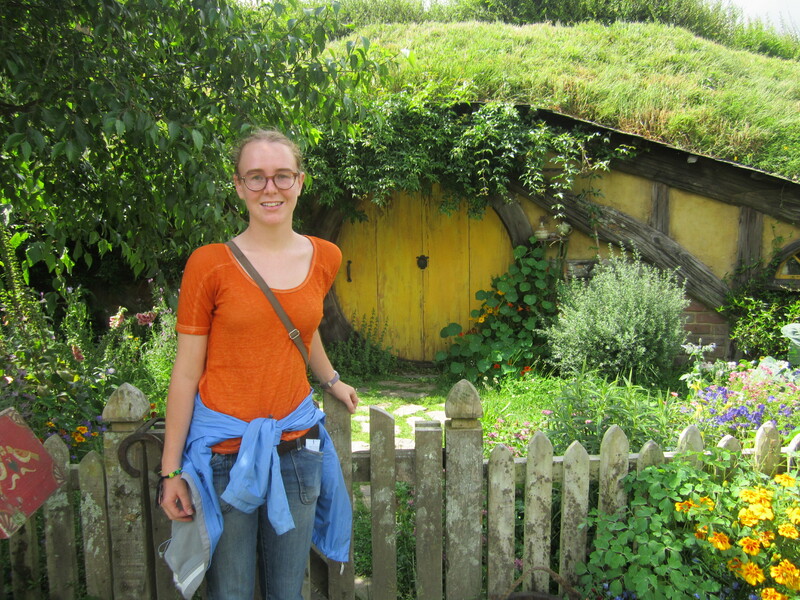 The next day we went to the place where the filmed Hobbiton. Liza was so excited! At our last farm we booked a nice-ish hotel in Wellington for Christmas so we had to figure out the best way to get there by the 24th. The Couch Surfing website also has a ride share service where people with a car drive people who need a ride so they can split the gas prices. The best we found was a ride from Taupo, two hours south of Matamata, to Wellington. This left the problem of getting to Taupo. The bus in Ecuador would have cost $2. In New Zealand it costs $30 each for 2 hours on the bus. The only affordable option was to hitchhike to the free campsite in Taupo. I was dreading it at the time, but it sounds kind of cool in retrospect. We made it alright, and the campsite was located on a beautiful river. We stayed there for a couple of days until we met with the girls that we were riding with to Wellington. We spent a night in Wanganui camping before going to Wellington. Wanganui was on the beach so we watched the sunset over the ocean which was very nice. The girls we rode with were air heads so they spent a lot of time driving around lost. I wasn’t in any hurry, but we wound up spending way more on gas than we had to. In New Zealand things are very expensive, not just compared to Ecuador, but by Minnesota standards as well. We are blowing through money way more quickly than we hoped. We’ve begun discussing some alternative solutions. We found some vineyards looking for work so tomorrow we have to call and ask about that. We need to turn in our visa applications in Wellington and pick them up here in about two or three weeks so we’re also thinking about heading to India as soon as we get our visas. This means our three options at this point are to work for 8 weeks and head to India with a TON of money, change our flight and work for 3 weeks to make a bit of extra money, or change the flight and WWOOF for the three weeks. It all depends on how the work on the vineyard sounds and if they’d hire us. We also have a big Lord of the Rings tour around Wellington that Liza is very excited about on the 27th. I was stressing earlier, but it’s beginning to sound like everything’s going to work out! Looks like you’re having quite an adventure, I’m sure things will work out. Hi Tom. I found your blog through Google while searching for info on Paseo Los Monos. I’m thinking about going there for a few weeks in February for my annual vacation. Reading your blog has helped me a great deal and helped me to narrow down my vacation choice. So thanks for that. But I still have some questions that I hope you can help answer. Mostly a few mundane ones about housing, meals, how hard/easy is it to get to town, etc. My last several vacations were spent at a similar sort of animal refuge in Bolivia (so I don’t have any work questions since I’ve spent many, many days cutting up fruit and cleaning out cages…), but now I’m thinking of trying something new. I saw that you told a previous commenter that email addresses come through to you when people comment here, so hopefully, you can get back to me that way.